Traveling to Las Vegas casinos is just a little pricey – there’s the round trip plane ticket; the hotel room at The Venetian, Caesar’s Palace, or some other Strip hotel; and, the most important expense of all, the money you’ll be spending at the casino tables. The solution to this potentially costly problem? Bring the casino floor to you with Slots of Vegas, the premier US online casino. Because that’s the number one reason you’re spending a weekend in Sin City, right? The weather might be warm year round and the nightlife always thriving, but every tourist to visit Las Vegas eventually finds himself at a table, even if it’s for a single hand or roll of the dice. But getting to that table costs money – precious dollars that you could be using on the casino floor instead of the trip to get there. 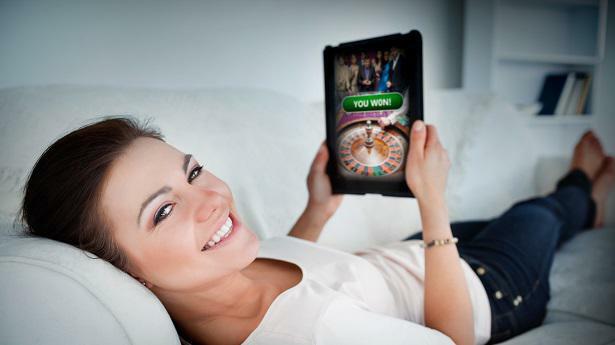 With the online casino at Slots of Vegas, you have 24/7 full access to all the casino games that Sin City offers, right from your desktop in the comfort of your own home or on the go from your smartphone. No need to spend thousands of dollars to get to all the exciting Las Vegas games you know and love – with Slots of Vegas, the games come to you no matter where you are. If you’re looking for one of the best USA online casinos, you’ve come to the right place. For the majority of Americans, Slots of Vegas provides exciting entertainment and the chance to win incredible prizes directly on their desktops or from their smartphones. (Sorry Maryland and New York – you poor chumps are the exceptions.) When you download the free software and sign up for an account, you’ll have access to over 120 unique slots games, plus a wide range of table, video poker, and specialty games you’d find on any Vegas casino floor – all without putting on pants. In addition to all these titillating features Slots of Vegas offers, USA players can cash out from free welcome bonuses and redeem “No Play No Max” bonuses. Hell yeah, man – that’s what we like to call a free country. Slots of Vegas brings the magic of Sin City not only to the rest of the good ol’ USA, but also to its northern neighbors who wave the maple leaf flag. The best online casino in Canada is found right here at Slots of Vegas, on desktops and smartphone all across the land. Like their American brethren, Canadian players can also cash out from free welcome bonuses and redeem “No Play No Max” bonuses, because freedom should be free for everyone. 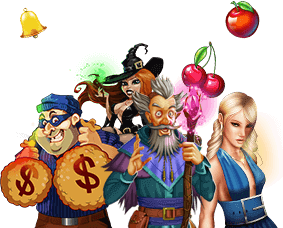 When you download the free Slots of Vegas software and sign up for an account, you’ll get access to all the casino games that make Sin City famous and the chance to win big money, all without leaving the country. The only thing that could make it better is a little maple syrup.